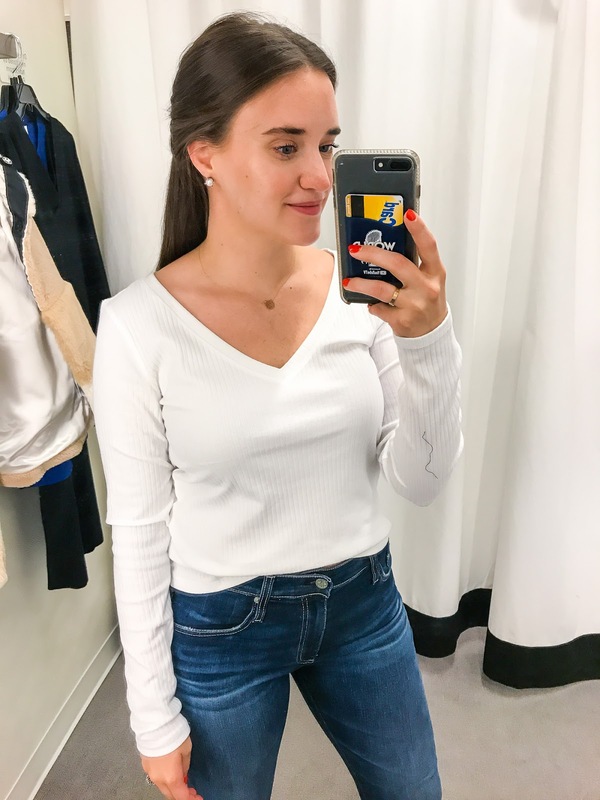 The Nordstrom Anniversary sale is HERE and open to the public! Now is your time to shop and buy all the goodies that are still in stock that you've been eyeing for a week!! The best AG farrah jeans! 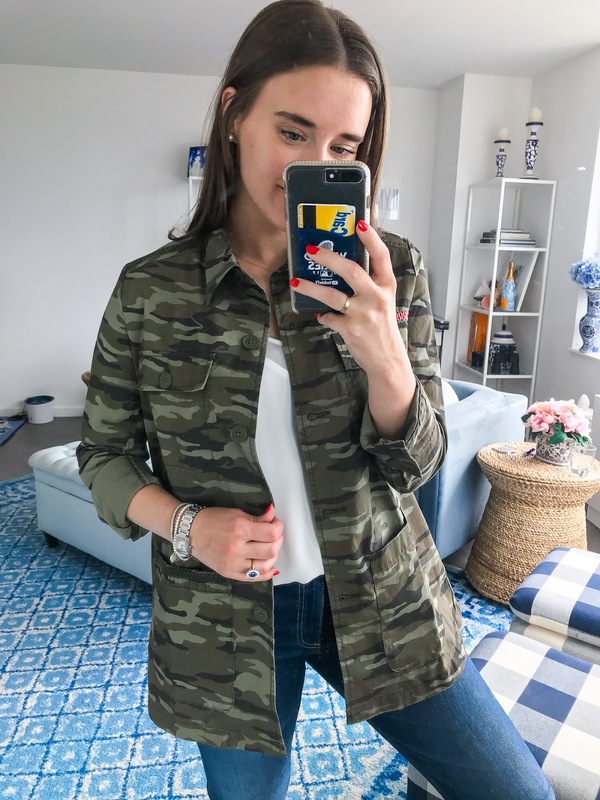 The camo utility jacket -- though I did buy a S petite to see if it would fit better! 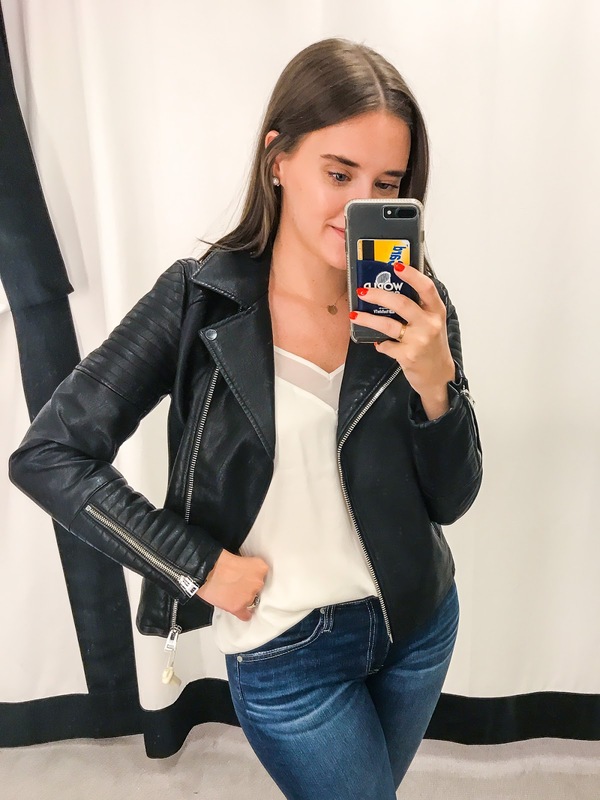 Item: Topshop Rosa Biker Jacket in black // Sizing: TTS for Topshop (which means to size 1 US size up). I'm wearing a 8 US and it fits like a glove. Item: SPANX Camo Faux Leather Leggings // Sizing: TTS -- I am wearing a M (like I do in other SPANX but also other workout/leisure leggings) and they are tight but are meant to be that way. Item: Wacoal Underwire Sports Bra // Sizing: TTS but if you are in-between I would size up as it can be tight (as it should be but can be uncomfortable for some). Item: Calson Utility Jacket in camo // Sizing: Runs BIG! So size down 1 or 2 sizes. I'm wearing a S here and it's still pretty big around. I'm probably going to order a S petite and see how it fits. 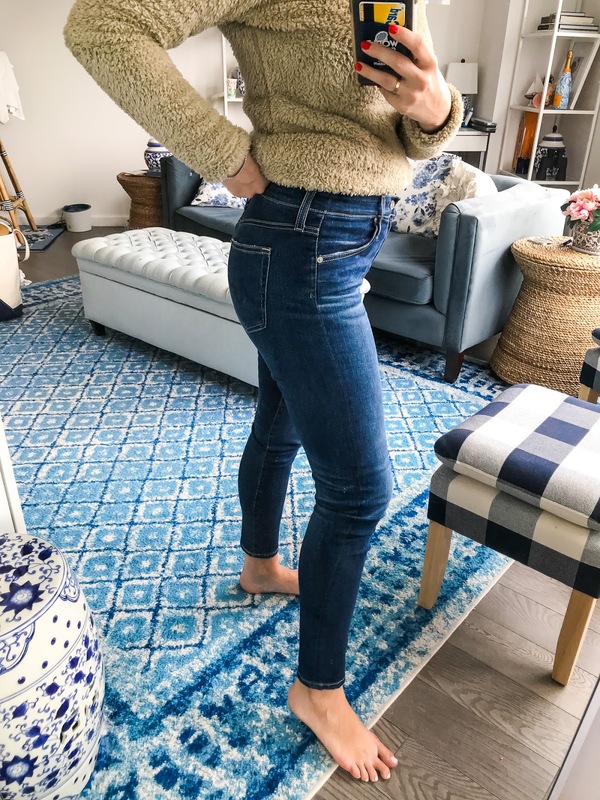 Item: AG The Farrah Ankle Skinny Jeans // Sizing: TTS for AG jeans -- I wear a consistent 29 in these.